Description: David Adams Richards’ Governor General’s Award-winning novel is a powerful tale of resignation and struggle, fierce loyalties and compassion. 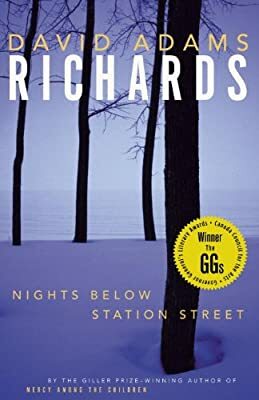 This book is the first in Richards’ acclaimed Miramichi trilogy. Set in a small mill town in northern New Brunswick, it draws us into the lives of a community of people who live there, including: Joe Walsh, isolated and strong in the face of a drinking problem; his wife, Rita, willing to believe the best about people; and their teenage daughter Adele, whose nature is rebellious and wise, and whose love for her father wars with her desire for independence. Richards’ unforgettable characters are linked together in conflict, and in articulate love and understanding. Their plight as human beings is one we share.